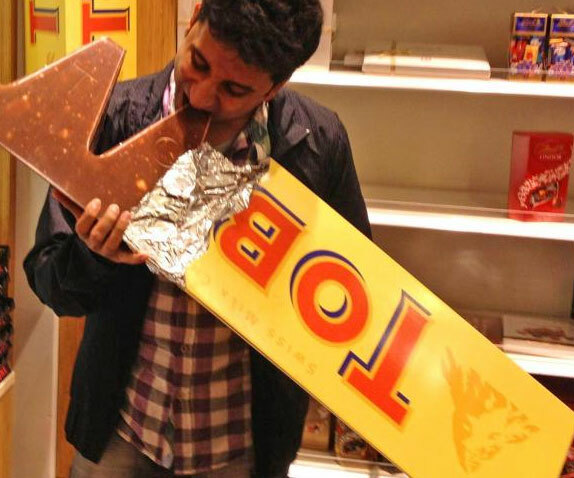 Giant Ten Pound Toblerone Bar – AWESOMAGE! A pure cocoa butter mixed up with milk from swiss Alps, decorated with honey, almonds and nougats. The Toblerone makes everybody crazy about the swiss chocolate.